Two international students from Afghanistan and Brazil received summer internships at the United Nations Headquarters and Nike because of their educational accomplishments, dedication to their studies and commitment to reaching their career goals through an education at the UA. 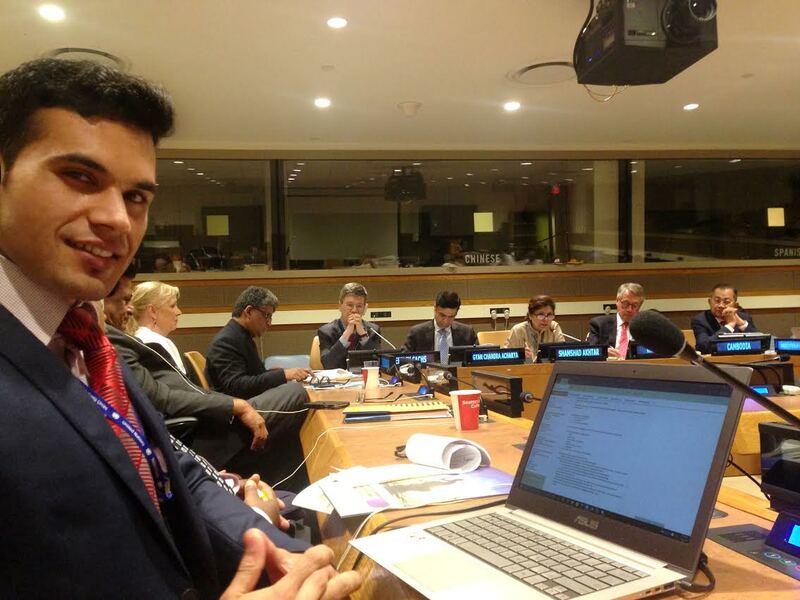 Fardous Asem Rahmani, a UA student of Master’s in Development Practice (MDP) from Afghanistan and 2012 Fulbright Scholar, was given the opportunity to intern at the United Nations Headquarters in New York City this summer where he was able to experience different environments by working for the Permanent Mission of Afghanistan to the United Nations as an advisor, and for the UNICEF Innovation Unit as a consultant. Similar to applying for a job, Rahmani said getting an internship is a long and stressful process and completing his internship at the United Nations Headquarters was a dream that came true. “There were times when I was disappointed when I received negative results about my applications, but I considered this as experience to build on my skills and abilities,” he said. At the UNICEF HQ, Rahmani worked closely with an exciting team who explores how innovation and emerging technologies can support the work of UNICEF and make the world a safer and better place for children. The Unicef Innovation Fund team is tasked with identifying, prototyping, and scaling technologies and practices that strengthen UNICEF’s work. 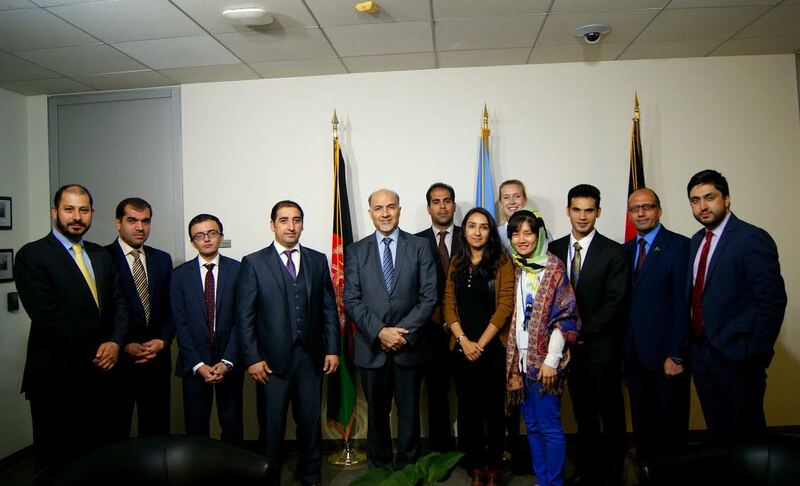 For the Permanent Mission of Afghanistan to the UN internship, Rahmani served as an advisor to the second committee that focuses on social and economic affairs and volunteered his time in humanitarian development committee and Security Council on-demand. Rahmani said living in New York and working in the United Nations was a unique experience in his life because the UN is an environment where 193 member states and the world’s delegations work together and represent their countries. Every person comes from a different region with a different background and creates an environment where every moment is an exciting learning opportunity, especially for interns. Samantha Czarniak, a finance major and UA tennis player from Brazil, received an opportunity to be a Global Sales Nike Intern in the tennis department because of her dedication and love for sports, as well as her education and future career. Czarniak said the internship at Nike has been a great experience so far and her work involves a lot of forecasting and creating sales through reports. Although, she also said it has been a challenge because she had to learn a lot on her own and ask people for advice and help. “I believe the biggest takeaway from my internship was to not be afraid of talking and asking for help, everyone at Nike is very welcoming and I loved being part of the company,” she said. Czarniak said being an international student at the UA has been amazing because everyone is very welcoming and helpful and her experience here has helped her become more independent and self-driven, which are qualities that helped her succeed during her internship. Being a student athlete is also a bonus to Czarniak’s experience at the UA because she has been able to connect with other international students through sports. Czarniak hopes to stay in the U.S. in the future because she believes there are many opportunities for her here, especially in the sports industry. Both international students said their internship experiences would not have been possible without help from the UA administration and encouragement they received throughout their college classes. “As an international student, I always feel confident to promote my knowledge and improve my academic and professional skills through these opportunities,” Rahmani said.